The South Australian and ACT governments will push for a national space agency arguing it will give the country a bigger slice of the $420 billion a year global industry. 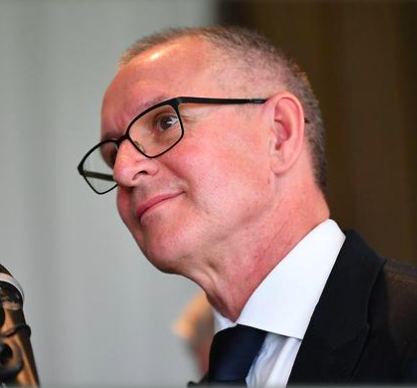 "The space sector will provide opportunities for traditional manufacturers to transition to a high-tech, high-growth sector," Mr Weatherill said. "The space sector has enormous growth potential and is a perfect fit for South Australia, given our national leadership in other high-tech industries." The Premier said both jurisdiction had different skills within any potential space initiative with the ACT bringing leading edge research through its universities while SA had high tech advanced manufacturing capabilities. ACT Chief Minister Andrew Barr said the agreement will encourage other states to push the federal government to look at a national agency. "Today's announcement demonstrates what state and territory governments can do to advance a national debate," Mr Barr said. Australia is one of only a few developed countries without a national space agency, and New Zealand established its agency last year. The Australian space industry is currently worth between $3 billion and $4 billion a year and employs 11,500 workers. Federal Industry Minister Arthur Sinodinos announced in July a review of Australia's space industry capabilities and said a national agency would be under consideration, with the review expected to be finished by March next year. Adelaide will host an international space congress in September, when tech entrepreneur Elon Musk is expected to update his plans for a mission to Mars.